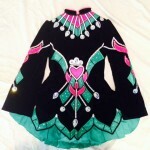 This is a much Loved Celtic Art Dress! 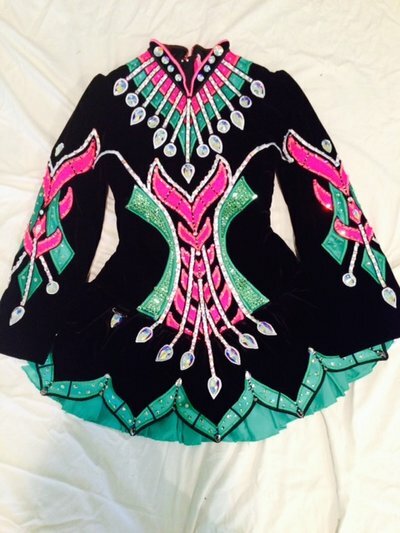 Only worn 5 times and selling due to dancer changing schools. 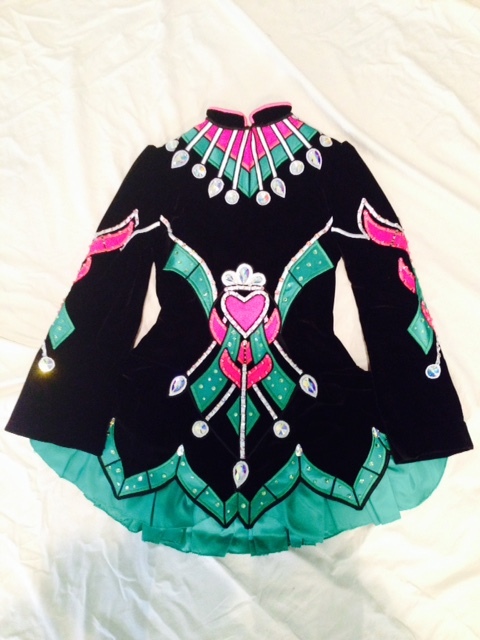 The dress is a stand out on stage and is covered in Swarovski Crystals. There is generous let out and let down. There is also let down in the sleeves.